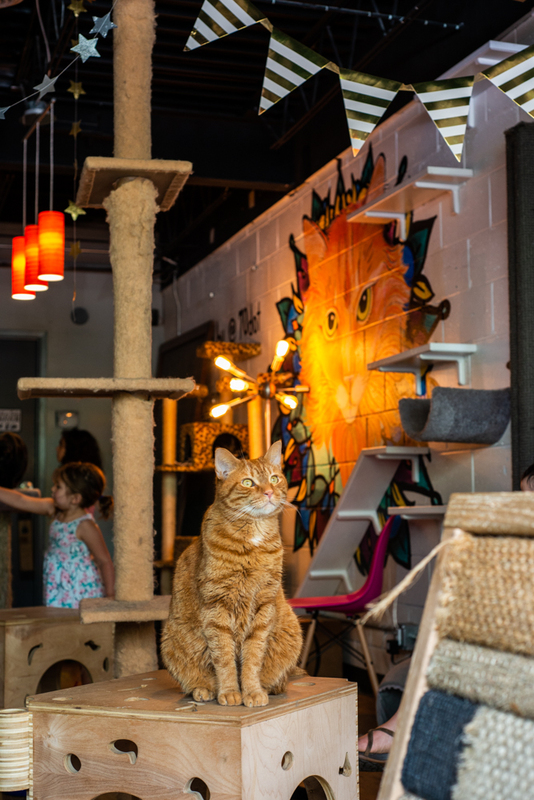 Haydn Hilton opened Atlanta’s first cat cafe, Java Cats Cafe, last year in Grant Park. 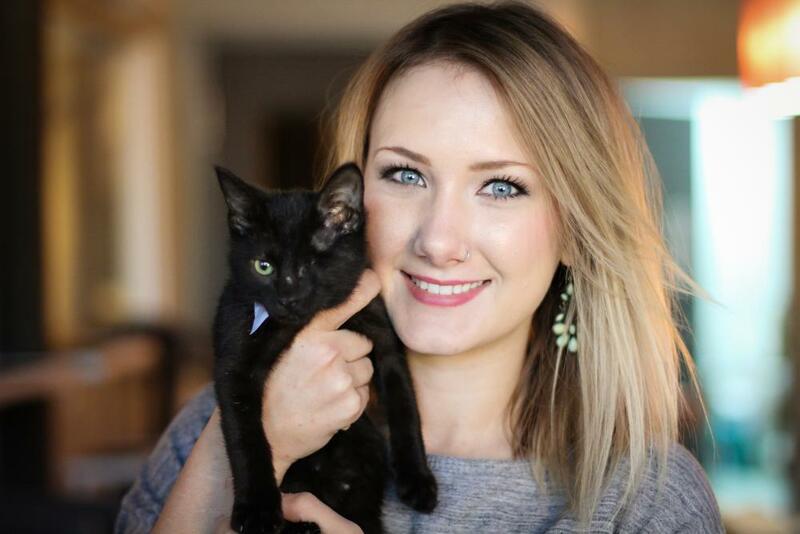 Now, the 26-year-old is preparing to bring her felines to 85 Atlanta Street in Marietta, not far from the Square, with a lounge four times the size of the original. Hilton founded Java Cats with a goal of helping the homeless—both feline and human. She partnered with PAWS Atlanta, a no-kill shelter in Decatur, to acquire cats for the Grant Park cafe who are ready to find a forever home. (She’s partnering with a different, unnamed organization for the Marietta cafe.) These cats live at the cafe and mingle with guests in the lounge, often leading to adoptions. To date, 257 cats have been adopted from Java Cats. How exactly does a cat cafe work? 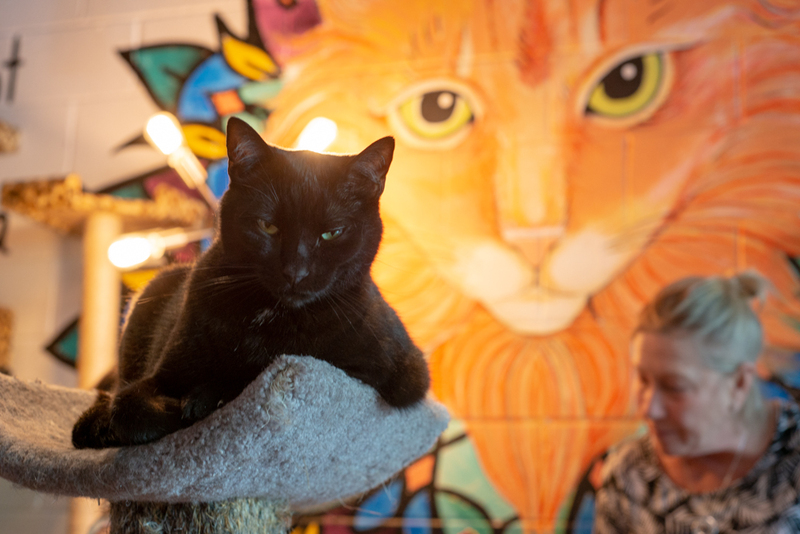 Customers reserve one of eight spots per hour online, come in and order espresso, Ebrik drip coffee, or tea from the cafe, and then head to the lounge for snuggle time with 15-20 cats. Thirty minute walk-in sessions are also available on a limited basis. Pastries, provided by an organization that helps the homeless get back on their feet, are also sold in the café. In the Marietta café, beer and wine will be available, too. 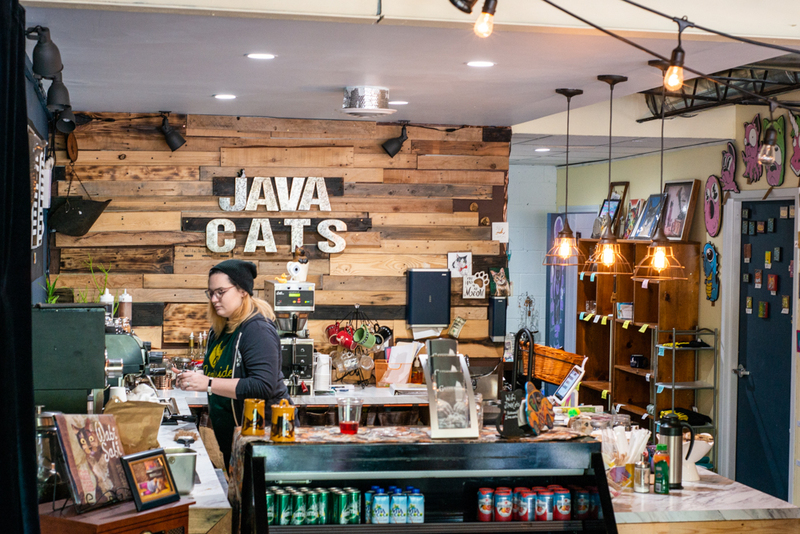 We spoke with Hilton about her experience founding Java Cats and what she has planned for the future. How did you get the idea to start Java Cats? When I was a film student at Georgia State, we had to write a paper on something in the media. Mine was focused on YouTube cat videos. In doing research for that, I discovered cat cafes. Growing up in Savannah, our house was “the animal house.” If someone found an abandoned kitten, they would bring it to my mom. Later, I worked under a vet tech and learned how to and administer IVs and microchips. Cats were always my favorite. I worked on T-N-R (trapping feral cats, neutering or spaying them, and returning them to the wild) and learned how to stop the overproducing of kittens. I wanted to eliminate that problem. I have three cats of my own, one disabled foster, and dogs, too. We’re our own furry family. What did you learn opening the Grant Park location? I learned what to look for in a lease, in a space, and what questions to ask. I learned how to do taxes and manage a staff. I’ve grown as an entrepreneur and a business owner. What’s your favorite adoption story? Some cats have been at a shelter since they were kittens and now are 3 years old. These cats don’t have much of a chance of getting adopted because they’re so shy. We get them and get to watch them learn how to trust people and flourish. They get adopted, and their whole life changes. Java Cats likes to host a lot of events. Any cool ones coming up? We’re holding a Java Cats film festival on May 20 at Orpheus Brewing. We’ll have cat vendors, beer, and will screen homemade cat videos. You can submit videos on the website; there’s a $500 prize for the best short film. We’re also having a Mother’s Day tea in Grant Park this weekend. We’ll decorate the cafe in tea party decor. And we’re restarting our Java Cats creative group for women entrepreneurs in the fall. I wanted a support system and a way to help other women get the confidence they needed to go after their passions. We had 75 members last year, including 30 who met regularly. A lot of those women are now starting their own ventures. 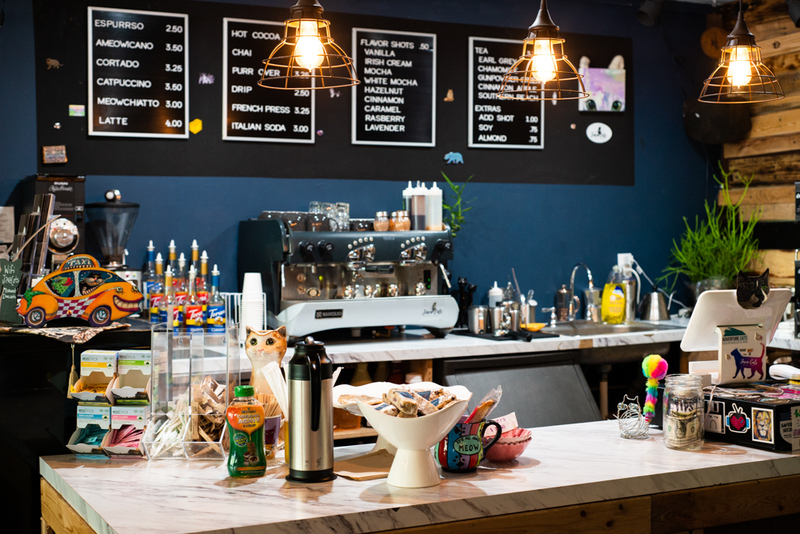 One is selling pastries at Java Cats to get started, and another is hosting child mindfulness classes.